AWF ventured back outdoors last night for their Wednesday sessions and had a good turnout of players. Although it became a wee bit nippy when the sun started to set, it was a fine evening. The players were split into three teams, and once again, the team selectors did a good job as all the games were very closely contested. a massive thank you to the guys who take their turn to officiate the games, it’s never an easy task, you can’t see everything. A wee video of a good move that ended up with Darin Bell trying to find the recently photographed black hole with his shot. To be fair to Darin, he did attempt the first time volley and he’s usually a tidy finisher. WARNING: The video may contain a bad word from our resident Tourette syndrome sufferer. AWF from jim alexander on Vimeo. A mistake was made with the top scorers for our indoor season. Top scorer was indeed Davie Milne. However, the top scorer for the over 60s was Alan Durno. It was an easy mistake to make because Alan doesn’t look a day over 59. I’m sure Jake Ferrier won’t mind, he has too many trophies as it is. After an exciting indoor season, we now know the top scorers. All other Player awards will be decided at a later date. As it stands just now, we are unsure if our move to start playing outdoors is going ahead this Wednesday. We will post this information as soon as we have it. 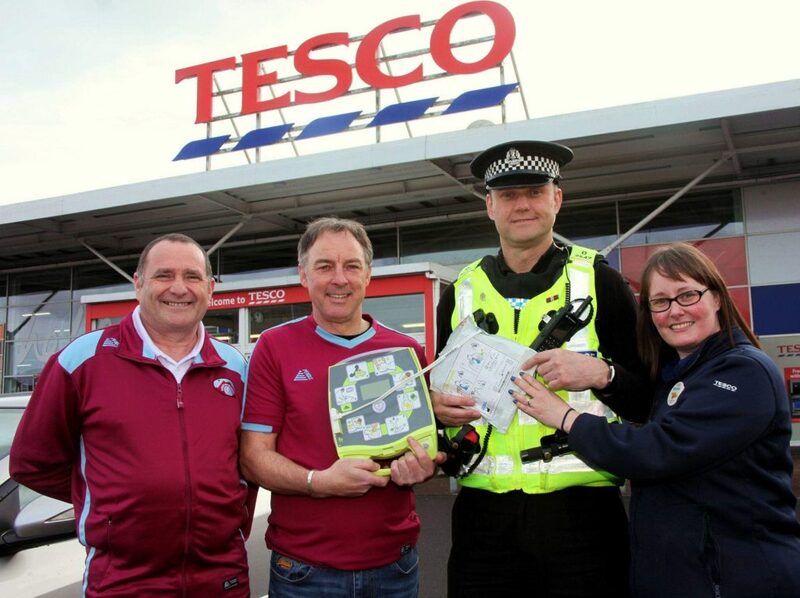 Thanks to Tesco, Groundwork and our club treasurer Ray Parker, Arbroath Walking Football recently took delivery of a brand new defibrillator (AED ). The cash was raised through Tesco’s ‘bags of help‘ scheme and the persistence of Ray. 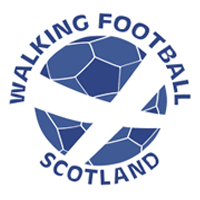 We feel that a defibrillator is a must for any walking football club. It’s also very reassuring for the players to know that we will have one at every session. 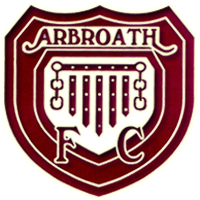 On Sunday 10th March, Dundee & Angus college travelled to Arbroath to play a set of friendlies against AWF. After a slow start in the first game, AWF ran out 9-3 winners in what was a very entertaining game. The 2nd game saw two AWF teams pitted against each other. 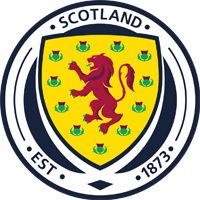 Wullie Craib’s team were heading toward a 3-1 defeat, when, with a few minutes left of the game, two quick goals saw them earn a draw. Dundee and Angus college got into the swing of things and comfortably won the next two games. All games were competitive, but they were played in the right spirit; players from both camps putting their hands up when a free kick offence had taken place. 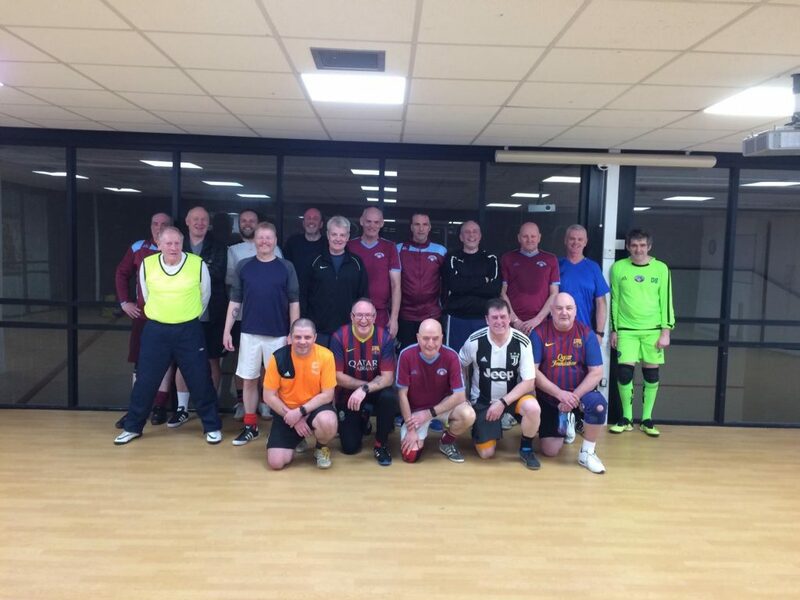 Another good advert for walking football. Well done to all involved.